Officials with the U.S. Forest Service and the City of Flagstaff have signed off on the final draft of the Flagstaff Watershed Protection Project. It’s designed to thin National Forest land surrounding the city and safeguard it from the effects of catastrophic wildfire.  Arizona Public Radio’s Ryan Heinsius reports. Representatives and officials from the U.S. Forest Service, Coconino County, the City of Flagstaff, Northern Arizona University and various fire agencies stand in front of a log truck Thursday. The group gathered to sign off on the final version of the Flagstaff Watershed Protection Project. After 2010’s Schultz Fire, Flagstaff voters overwhelmingly approved $10 million for the project. Officials say if a similar fire were to start in the Dry Lake Hills or on Mormon Mountain, the floods that could result would taint Flagstaff’s water supply. Several officials spoke at Thursday's signing of the Flagstaff Watershed Protection Project's final draft. From left: Wally Covington, director of the Ecological Restoration Institute at Northern Arizona University; Flagstaff District Forester for Arizona State Forestry Aaron Green; Coconino National Forest Supervisor Laura Jo West; and Flagstaff Mayor Jerry Nabours. Flagstaff Mayor Jerry Nabours says the plan is crucial. “Every city has the responsibility to protect itself from a potential natural disaster. 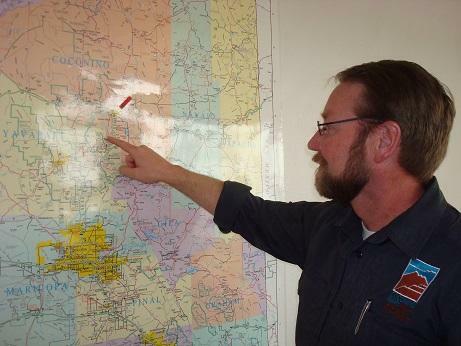 Maybe that’s an earthquake, maybe that’s a hurricane, but in Flagstaff that’s forest fire,” says Nabours. 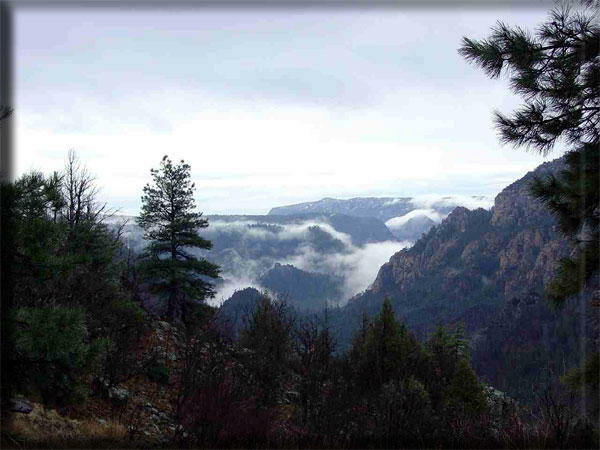 City and Coconino County officials collaborated with the U.S. Forest Service on the project. 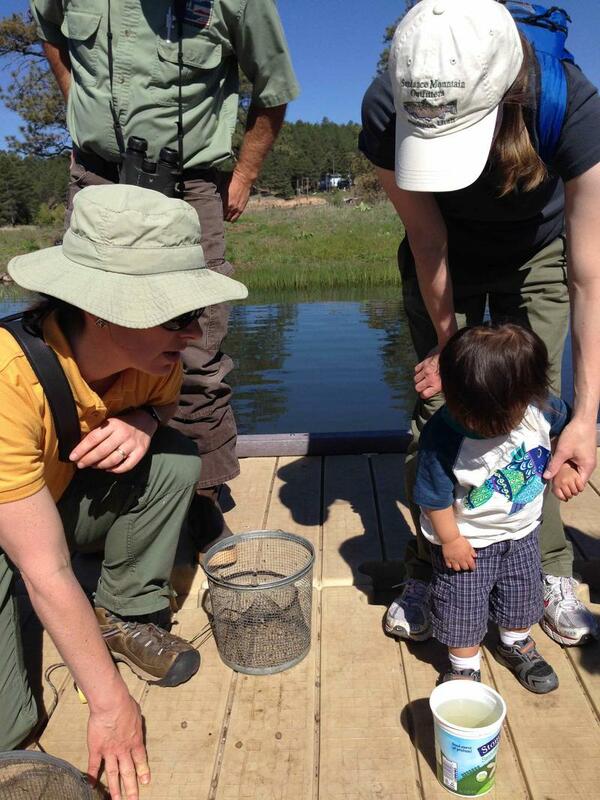 Laura Jo West is the Supervisor of the Coconino National Forest. “All of the years of fire suppression on our national forests, across the country actually, have resulted in conditions on the landscape that are just out of whack. It’s a monumental decision to move forward with these projects going to restore the health of the watersheds,” says West. To date, more than 1,500 acres of forest land have been treated as part of the Watershed Protection Project. Now that it’s finalized, 8,000 more acres are now on tap. The project will combine cable logging with hand-thinning done by contracted crews. Forest managers estimate the bulk of the work will take another four years. 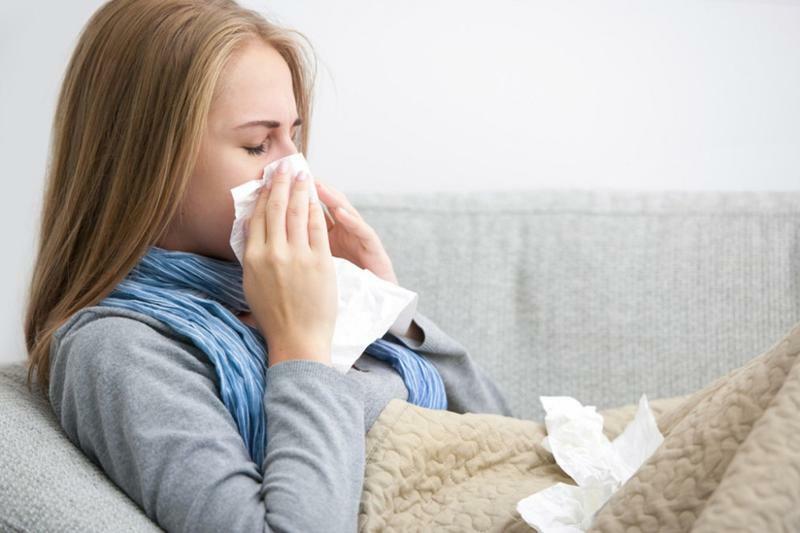 Health officials say four people are recovering from the first confirmed flu cases of the season in Coconino County. As Arizona Public Radio’s Ryan Heinsius reports, it’s an early start for the spread of the potentially dangerous virus. How do we know who lives where? Increasingly, land managers are turning to a fun and educational event to find out: the bioblitz. Two people in Coconino County are recovering from a rare disease called tularemia, or rabbit fever. These are the first confirmed cases of tularemia in Coconino County in a decade. The bacterial infection mainly affects mammals, especially rabbits and hares. It can spread to humans who have handled infected animals or been bitten by deer flies or ticks.